I had the good fortune to catch up with our Wellington correspondent, Kiwi no longer in Oz, this week. Ramesh is a knowledgable and generous host and as a bonus he turned on some glorious weather. Like all Aussies I visited in trepidation because all of the stories I’d heard about the climactic conditions. As Aucklanders reminded me later in the week, Wellington in fine weather is hard to beat, if you are lucky to get it. The views from Mount Victoria were just awesome. As well a reputation for wind, Wellington is developing an equally strong name for itself in the craft beer stakes. Breweries and venues abound and on the Monday night, Ramesh and I made a fair dent in the venues. 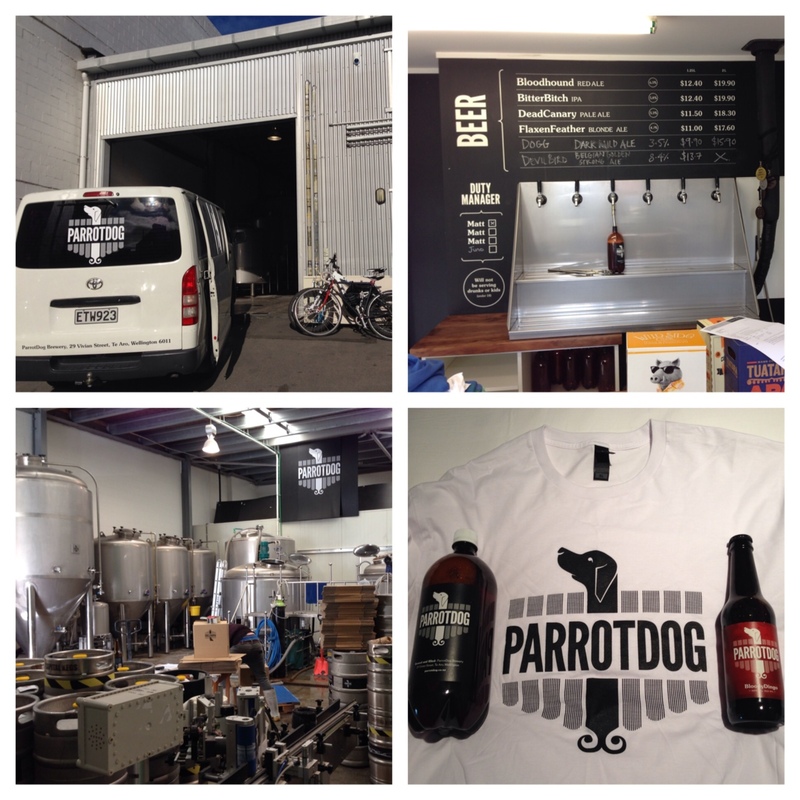 Two dusty lads went for a drive the next day and my last stop was the Parrotdog brewery, which is near Basin Reserve. The brewery door offers bottles and PET bottles for takeaway. The PET bottle is an NZ thing and 1.25l of beer or cider are available in some brands at the New World – the Kiwi equivalent of Coles. I couldn’t go past a bottle of BloodyDingo (sic), which ended up being my last beef in NZ. A fine, rich, robust Red IPA. The next day I had a 20 minute window to make a quick dash to Garage Project. 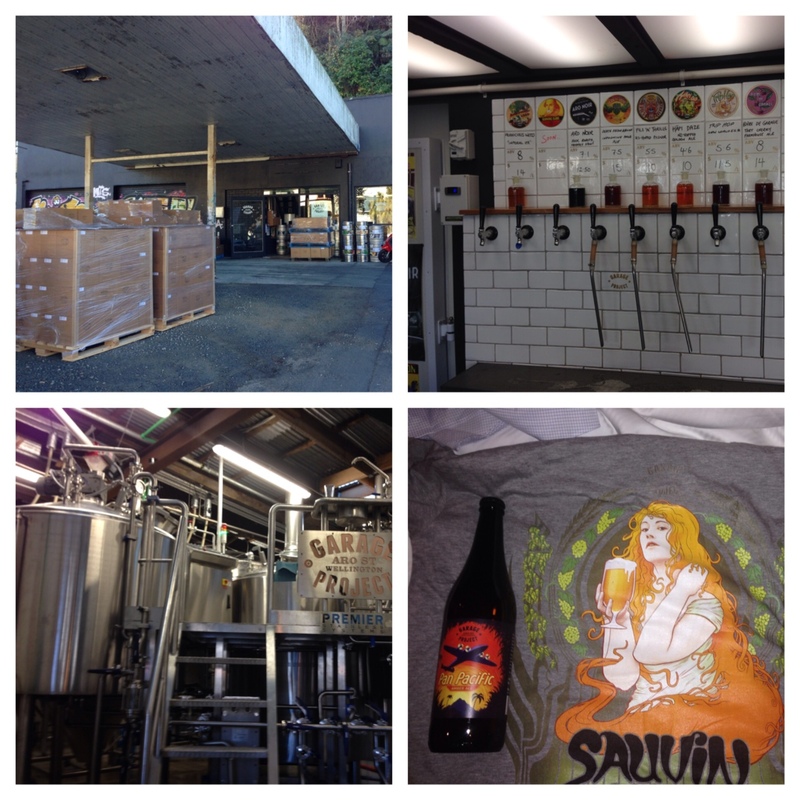 The brewery sits in an old servo in Aro Street in a picturesque suburb of Wellington. I dashed in, had a couple of sips of a couple of wondrous drops and bolted with a obligatory t-shirt and a couple of longies, that will be consumed in Oz. Their capacity is being increased and there should be plenty more Garage Project available in Oz soon. Absolutely worth a visit.